New Yamaha Fazer 150 looks awesome with ultimate perfection, better handling and stability. Explore the review to get the features, technical specifications & price in India. This new super cool machine from the conglomerate of Yamaha Motors truly deserves its tag line "Look-at-me" loaded with triple macho design concept rendering a compact figure with the superb ergonomics. The Fazer gets its DNA from the global Fazer series known for their sports touring and awesome looks. Its curves and contours are not dissimilar to its older siblings, FZ-S and FZ-16. Now it has got half-faired to keep the wind drag at bay. With its comfortable riding position, riders can enjoy a weekend shoot-out. Macho & Muscular look of the bike is the attention grabber and evokes our mind instantly by the tantalising look. Yamaha has done wonderfully with the avant-garde style of this bike making it an ultimate desire for the bike buffs. It looks ultra-cool with the tremendous power and it has attacked all the 150cc bikes again. Power output from the refined 153cc motor is more or less the same. The 153cc, air cooled, 4 stroke, SOHC engine generates maximum power of 14 Bhp at 7500 rpm with maximum torque of 14 Nm at 6000 rpm. The 153cc engine of this bike is designed for the urban commute. Some of the auto enthusiasts wish for a bigger capacity engine so that it can compete with the Pulsar-180 or Apache RTR-180cc. The front now comes with an aerodynamic cowl to keep the wind blast at bay while the riding position has been refined for long hour and long distance travel. It also comes with special anti-skid seat skin. 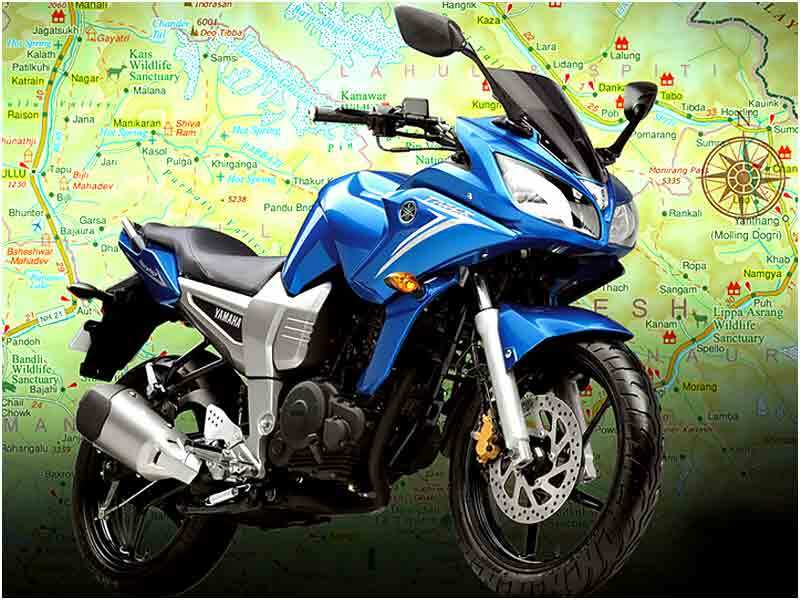 It has got new twin headlamps which are in resemblance to the global Yamaha Fazer. It is a masterpiece carved out with the craftsmanship of Yamaha. Yamaha has left no stone unturned for the ultimate perfection and even the slightest feature has not been taken for granted. Each and every part of Fazer has been designed with a lot of attention and careful thought. The most striking feature of this bike is its big body, wide tyre, huge tank and beefy forks. When looked from the side, it looks like a well-built sprinter ready for the run. The speedometer, tachmeter, trip meter, fuel gauge and other indicators are set in optimum position to keep the field of vision clear. Other than the front fairing and wider tyre New Fazer looks exactly the same as the FZ16 & FZ-S.
Like FZ16 and FZ-S, Fazer inherits the Monocross suspension to ensure agile running performance and handling. The broad tyres, low center of gravity and high torque at low rpm makes it a breeze to drive in city traffic. The 'MidShip Muffler' at the center of the machine gives it a good concentration of mass, exhaust efficiency and handling. Fazer has the "140/60-17" size rear radial tyre with a 60% aspect ratio and contributes to better grip, handling and stability. The aerodynamic cowl and the visor protect rider from wind blast on the highway and enhances stability and riding comfort over long distances. New design mirrors not only look trendy, but also add to safety with a better rear view. 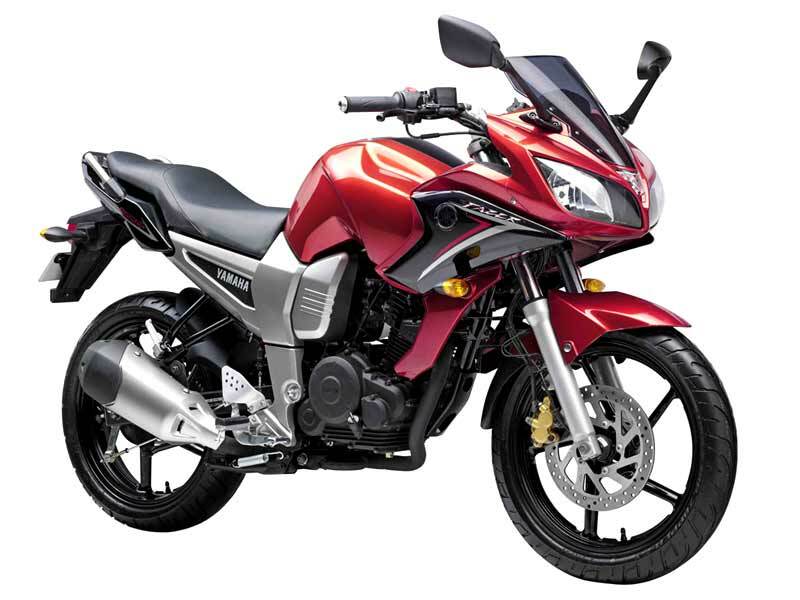 Super cool design and quick pick up is the identity of Yamaha Fazer 150. 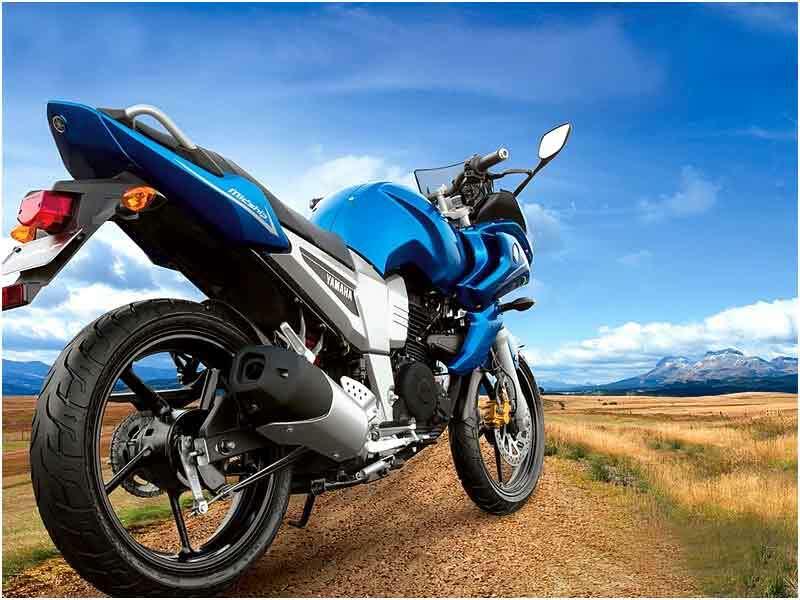 The stylish motor bike gives a decent mileage of 50-53 kmpl. The New Fazer will be available in four colors - Electric Blue, Midnight Black, Lava Red and Flaming Orange. The Fazer is priced at Rs 72,000 (ex-showroom, Delhi).